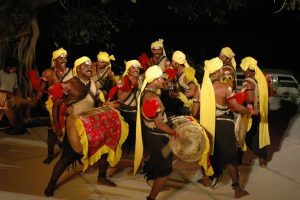 Land of unique culture and rich heritage, Karnataka observes many festivals throughout the year. 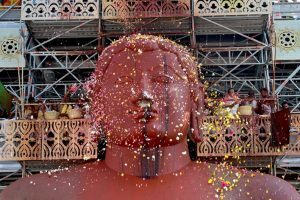 Some of these festivals have their roots in religious devotion and others emerge from cultural legacy. 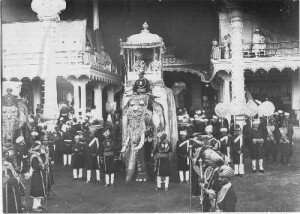 Ganesha Chaturthi is observed widely in this state for ten days and Dussehra is grandly celebrated in Mysore. Different parts of Karnataka have its own special festival such as the very popular Hampi Festival is a celebration of the birthday of famous poet Purandaradasa. Dance, music, puppet show and fireworks are parts of this festival. 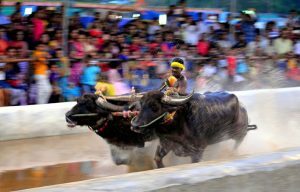 The special attraction of Karnataka’s Kambala festival is buffalo racing. Another culturally influenced festival is the Pattadakal Dance Festival that takes place in January every year. Ugadi festival ushers in the New Year of Kannadigas when people wear new clothes. Pongal is also an important festival that celebrates good harvest. Karaga, a folk dance festival, is celebrated in Bangalore to pay tribute to Draupadi. 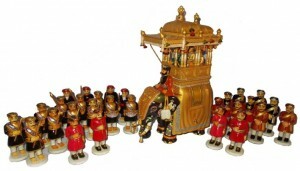 Read more about Festivals of Karnataka. Ayudha Puja falls on the ninth day of Dasara or Navarathri. Know more about Ayudha Puja, its significance, and celebrations. 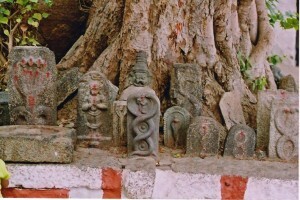 Naga Panchami is the festival devoted to the Serpent Gods. 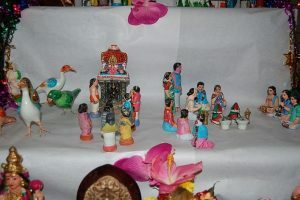 This is the South Indian version of the popular Raakhi festivals. Krishna Janmashtami is the celebration of the birth of Lord Krishna. 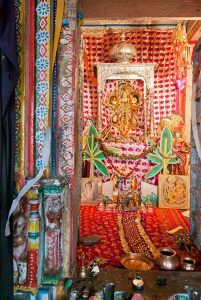 Know about the legends and special pujas conducted on Krishna Janmashtami in Karnataka.